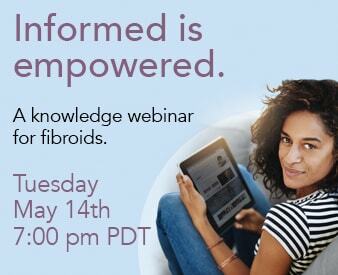 Share the post "The Fibroid Treatment Collective Difference"
At the FTC, your entire treatment is handled, start to finish, by the same physician and medical team. We have found this unique ‘one team, one patient’ approach offers more consistent, more comprehensive care for fibroid patients. Before Fibroid Embolization, all patients are thoroughly evaluated to ensure the procedure is right for them. This includes a review of their medical history, general physical condition and any other information pertinent to the case. Learn What to Expect Read about one patient’s day-by-day account of her embolization and recovery. The patient undergoes complete pelvic imaging, either ultrasound or MRI, to measure the size of the uterus and look for any other conditions that might be affecting their health. Embolization is an out-patient procedure, usually performed under local anesthetic. A tiny incision (roughly 1 centimeter) in your upper thigh allows a tiny catheter to be inserted into the femoral artery. Using x-ray guidance, a trained physician locates the feeder vessels which supply blood to each fibroid. Microscopic, inert particles are injected to block these vessels. Without a steady blood supply and oxygen, the fibroids begin to starve and shrink. Recovery time is generally 2-3 days (as opposed to a 6 week recovery after major surgery such as myomectomy or hysterectomy). After embolization, patients are evaluated within the first week, again at six weeks and once more at six months to track the rate of fibroid shrinkage.